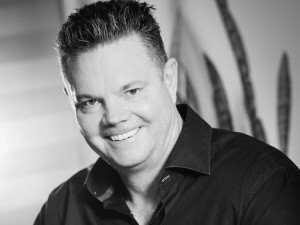 Brett Parker, MD of SAP Africa. Africa is leading the way in some areas of innovation, with some private organisations and public sectors doing things that are ahead of other parts of the world. This is according to Brett Parker, MD of SAP Africa, speaking yesterday at the Saphila 2017 Conference taking place at the Sun City Resort in the North West province. Parker believes through innovative use of IOT, machine learning and AI, Africans have developed and implemented ground-breaking technologies that are not used anywhere else in the world. "Africa is not lagging behind the rest of the world when it comes to innovation, we have seen many innovative technologies such as the use of AI in fighting rhino poaching. The technology uses thermal-imaging surveillance cameras to track human activity at night time," he explained. "Through the use of AI, these have made a significant progress in combating rhino poaching on the continent." In 2014 SAP announced focused growth plans to expand its technologies to various parts of the continent. "We've recently opened two offices in Africa, one in Morocco and one in Luanda, Angola. In our Morocco offices we had no people on the ground and since we established the business we now have 50 SAP employees in the country. There are amazing opportunities in many other countries such as Algeria, Tunisia and others. We are excited about the opportunities, which enable us to serve our customers in their local language, using SAP local resources." SAP Africa has seen significant business growth over the last two years, he added. "The SAP cloud business is gaining amazing traction across the continent. In 2016 we saw 147% growth in our cloud business, with 21% growth in on premise cloud. It is clear that big data and inventory management through cloud computing are topics that are very important to our customers. SAP Hana exceeded 60% growth, while S4 Hanna reached around 53% growth. So there is great ERP growth in the continent and a lot of new opportunities in the innovation space as well." Making reference to Africa Code Week, Parker discussed how SAP is making a significant impact in providing ICT skills to Africa's youth. "The programme focuses on exposing young talented people and children to coding tools and skills they need to thrive in the 21st century workforce. In the last two years we've touched the lives of over 500 000 children and young adults across the continent. "Through the programme, we partner with communities, schools, churches and many social communities right across the continent to make it successful. This has also helped us expand the SAP brand into Africa," he concluded. Other programmes successfully carried out by SAP in Africa include the Skills for Africa programme, a job creation programme, and the Co-Innovation Lab, anSMEincubation programme.